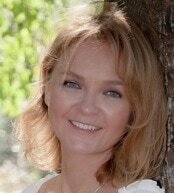 ​Izabela Adamaus is a highly thought of specialized professional who founded Wholistic Therapeutics in 2007, and continues her practice as a sole practitioner, providing high quality hands-on individual care, always communicating back to you the improvements that your patient makes. Izabela's goal is to make it as easy as possible for you to refer a patient. Simply fax over your prescription to (888) 755-5582 , have your patient call (708) 525-4640 or suggest they make an online appointment for treatment or to discuss their condition.